March 26 marks a time of year that anyone can make up a holiday of his or her own. 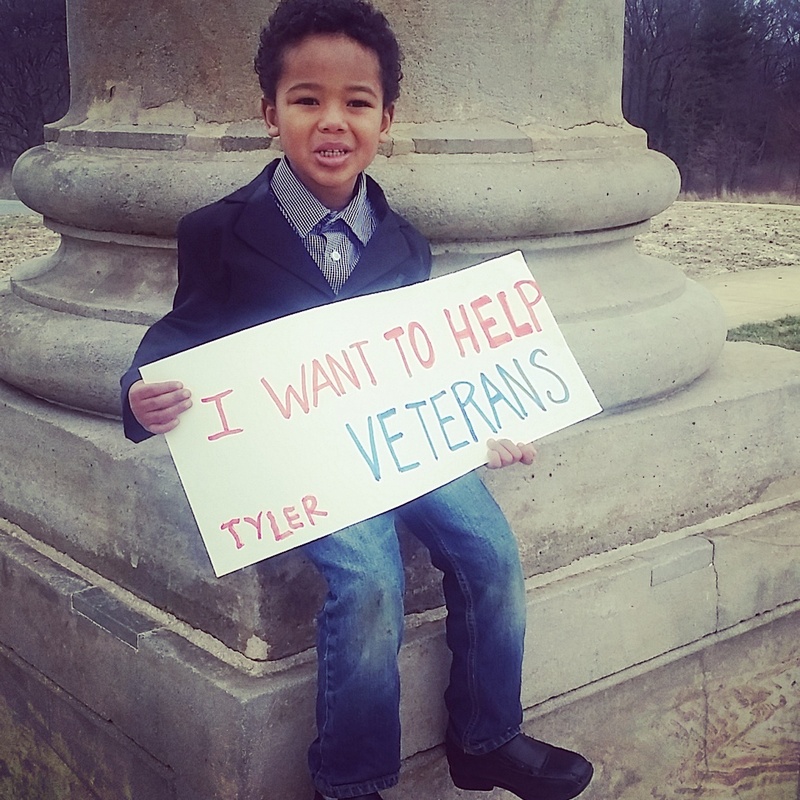 4-year-old Tyler Stallings inspired the creation of Give Back to Veterans Day, since he wanted to do something special to thank veterans for their service and publicly raise awareness about their needs beyond Veterans Day. After receiving a $100 youth grant from a nonprofit organization called Start A Snowball, Tyler collected approximately $800 worth of in-kind and monetary donations for veterans through social media, video presentations, a letter campaign and phone calls made by his mother, Andrea Blackstone. Purchases to make hygiene baskets and bags were made with funds raised to thank homeless and elderly veterans in a tangible manner. Tyler Stallings is the son of a veteran. Other close family members have also served. Tyler’s supporters donated approximately $155 through https://www.gofundme.com/uxs2hbcs. Local chain stores in Prince George’s County, Md. also donated items to the Give Back to Veterans Day campaign, enabling Tyler to provide items such as toothpaste, toothbrushes, deodorant, new washcloths, soap, razors and lotion to elderly and homeless veterans. An Annapolis-based small business—Rosemary’s Beauty & Barber Supplies— made a large donation of grooming products and items for men and women. Other small business owners, such as Terrell Freeman, owner of Reel Tech in Annapolis, his mother, Claudia Blackstone, Shelia Bell—an author and publisher located in Tenn., Valerie Mullins—owner of In Sync Visions and Communications, a mother with Annapolis roots and a military retiree who served 20 years in the Air Force were key donors. Tyler visited a transitional home for veterans called Patriot House, located in Brooklyn Park, Md. While visiting, he met the program manager, Charles Robinson, and learned diverse manners that support is provided to male veterans who are getting back on their feet. Tyler’s uncle, Michael Blackstone, served in the U.S. Army. As an ongoing supporter, he helped to transport items and also visited Patriot House. Before leaving the location, hygiene supplies, customized baskets and thank you cards were left for six veterans on March 24. Tyler resumed delivering items to veterans on March 25. He visited The Armed Force Retirement Home, located in the District of Columbia, and spoke with veterans who live at the retirement and assisted living facility. Tyler thanked these residents for their service and provided donations for their forthcoming white elephant event, when they could select items themselves. Please visit http://www.operationmend.org/how-a-little-boy-learned-to-give-back-to-veterans/, https://www.facebook.com/AFRH.gov/posts/886265064805796 and http://www.ktre.com/story/31598498/operation-mend-shares-new-inspirational-stories to read more about the outcome of a little boy's desire to do something special for men and women who served our country. Tyler was even mentioned as the youngest hero to date featured on Operation Mend, via http://www.nbcrightnow.com/story/31598498/operation-mend-shares-new-inspirational-stories . Additionally, Tyler was also acknowledged by Governor Larry Hogan. in two ways. The kidpreneur received a letter from him providing responses to questions posed about what is being done to help veterans in Md. A citation was also given to Tyler in recognition of his support offered to veterans in Md., and promotion of literacy in the state, at a young age. Fundraising activities for future Give Back To Veterans events are in development.